Log a payment for a Match Levy. Log another payment (eg. fines, raffles, etc.). Hi, I’m Alan McDermott, Treasurer of the Poly. My job is, obviously, to keep the club’s finances in order. Make all payments as soon as you can after the match / event. Use clear bank references including the key facts I need eg. squad, opposition, player name, date. If possible, please add the details on one of the forms linked below so I can track it – I use these forms to reconcile against the bank statements. Other things that you might want…. Go to the on-line subs payment page. Annual Subs are £125 if paid before 20 September 2014, £130 thereafter. 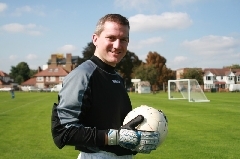 Full time students, the unwaged and specialist goalkeepers can pay £65. Match Levies should be banked per squad for all games as follows. If you think you have a special case for any particular please let me know. I’m not interested in off/pre-season games you organise yourselves but all regular Saturday games from the start of September should include normal fees. If you have a question or query please email me via the below form.